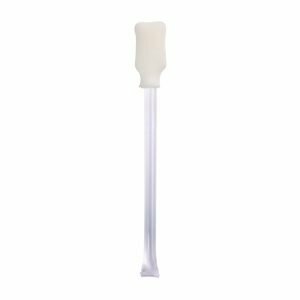 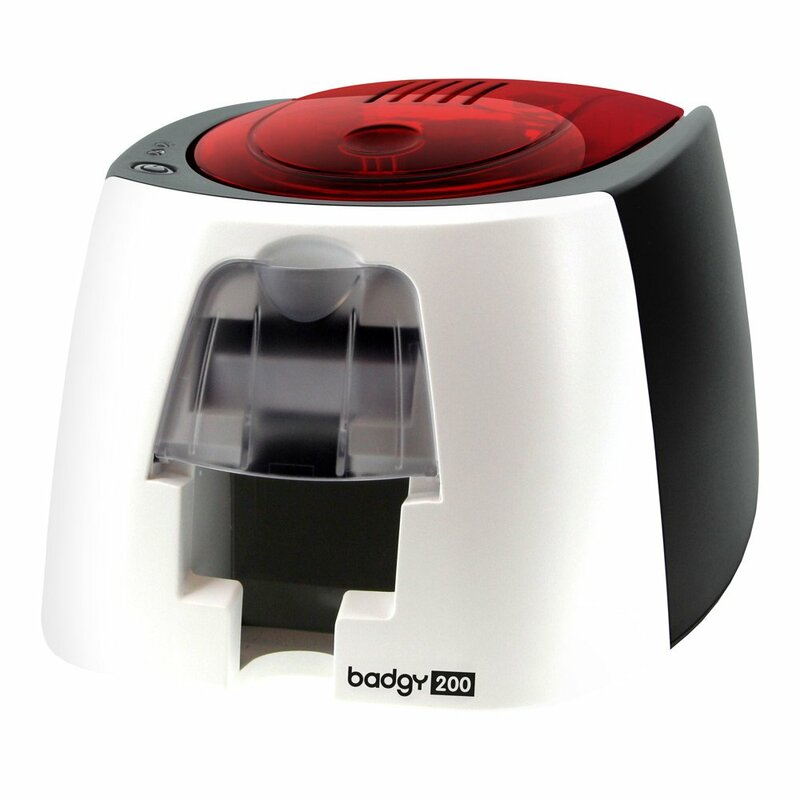 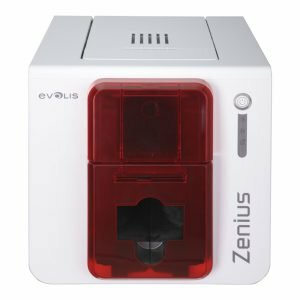 Badgy200 from Evolis offers everything you need to start designing, personalising and printing plastic badges yourself. 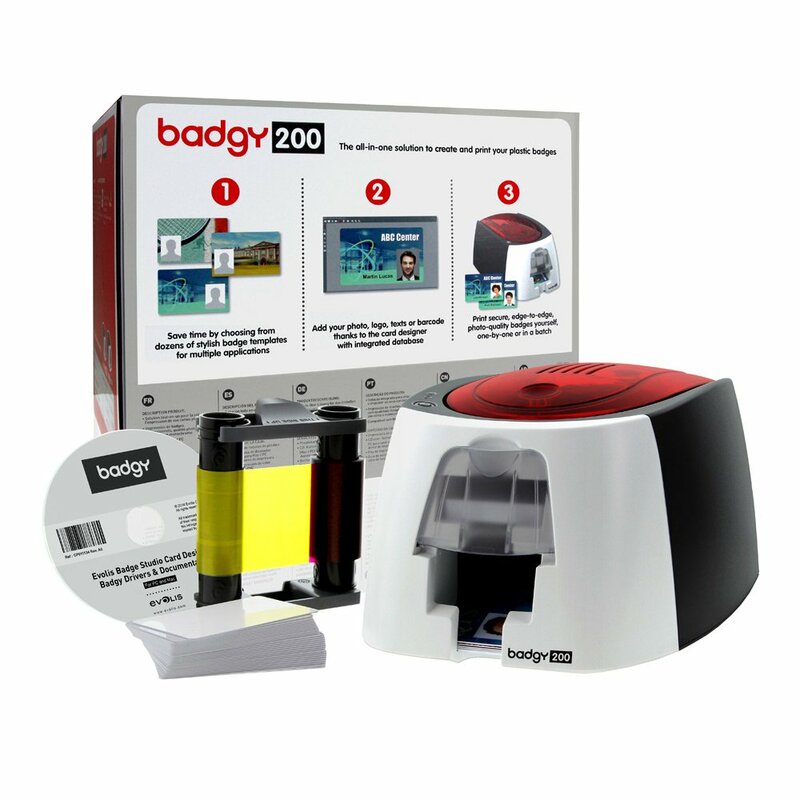 Print professional quality colour badges with perfect ease. 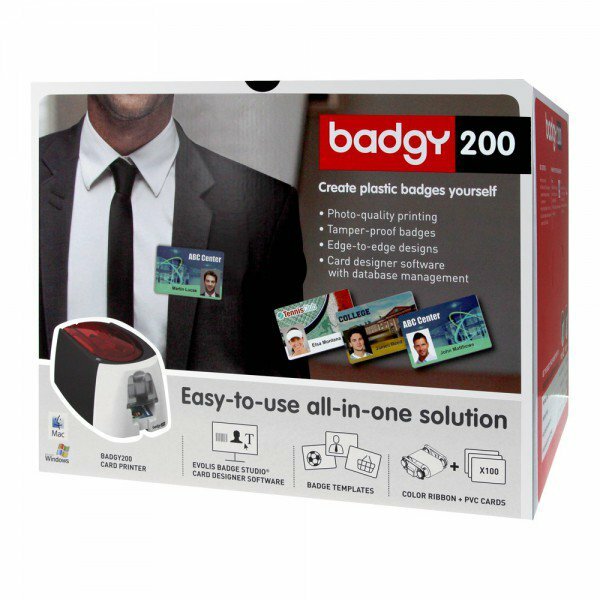 A complete solution which is economical and easy to use, Badgy200 fulfills all your needs for graphic personalisation and instant card production, as single cards or in small batches. 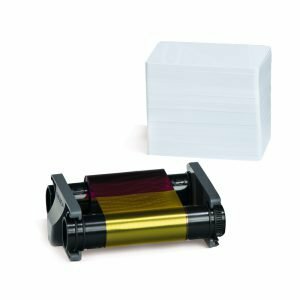 Badgy provides you with a turnkey solution,for PC or Mac, consisting of a plastic cardprinter, the Evolis Badge Studio card personalisation software, and a pack of consumables (color ribbon and blank plasticcards) for 100 prints. 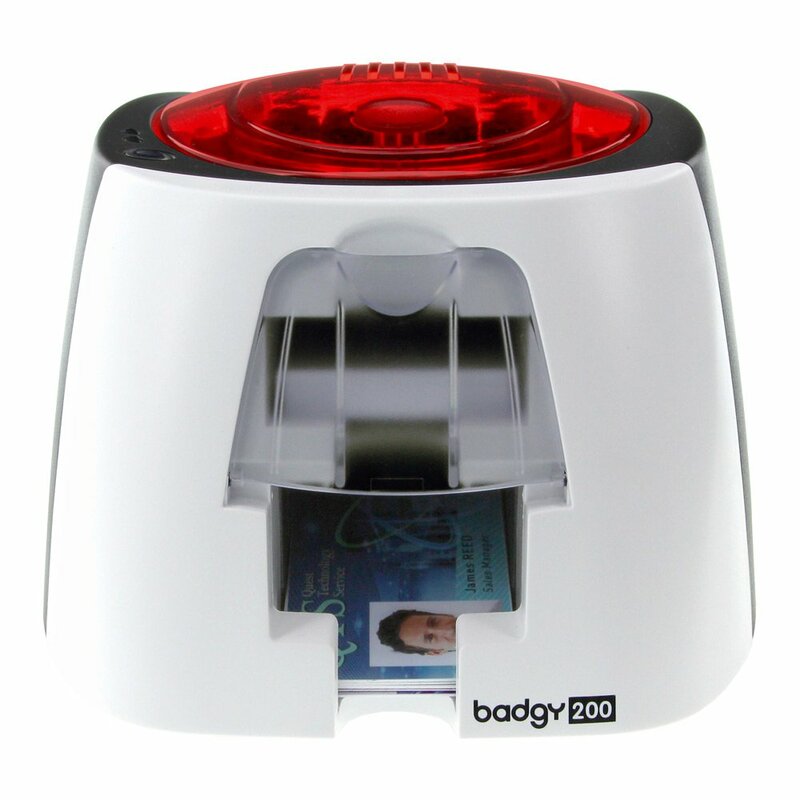 In addition, a free card template library is available at www.badgy.com, where you can personalise the template of your choice, adding text, logos, photos, barcodes, and more.